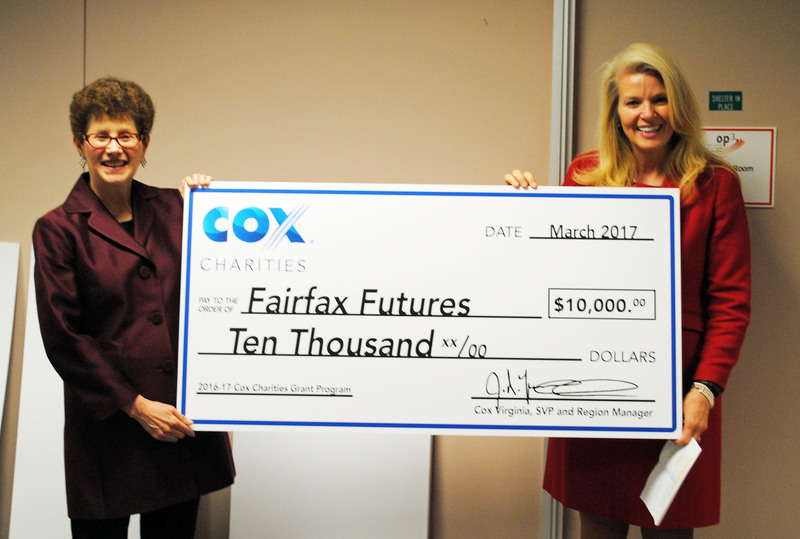 Cox Charities has selected Fairfax Futures as one of five Northern Virginia grant recipients. With support from Cox Charities, Fairfax Futures will work in collaboration with the Fairfax County Office for Children to engage families with young children in early childhood STEM education experiences. (STEM stands for science, technology, engineering and math.) Fairfax Futures will bring its STEM program to five early childhood education programs in the county over the next year. Kathryn Falk, Vice President at Cox Communications, right, with Vera Steiner Blore, Executive Director of Fairfax Futures.